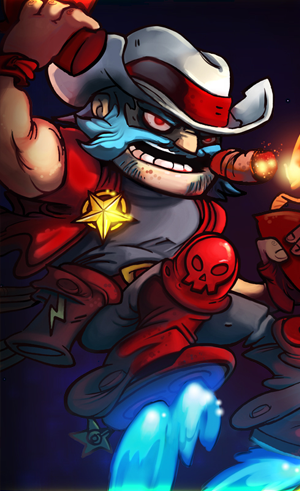 So far there are three maps in Awesomenauts but there may be more. We will add to this guide as they are added to the game. Awesomenauts, upcoming 2D MOBA game from Ronimo Games, is paving the way to an entirely new way to play MOBA games without abandoning all the things we love. However, with a change of dimension comes several other things. Arguably games like League of Legends are actually pretty simple to understand and can be very accessible. However, getting good, or passing the “barrier of competency”, is a very long, uphill battle requiring either tons of gameplay experience or a lot of research. Awesomenauts seeks to simplify and streamline the mechanics surrounding the depth that MOBA games are known for without removing any of it. In that effort, Ronimo Games has employed a simple, understandable and customizeable “item”, or rather upgrade, structure and shop system into Awesomenauts. How exactly that lofty goal will be achieved is, in short, explained below and after the jump. 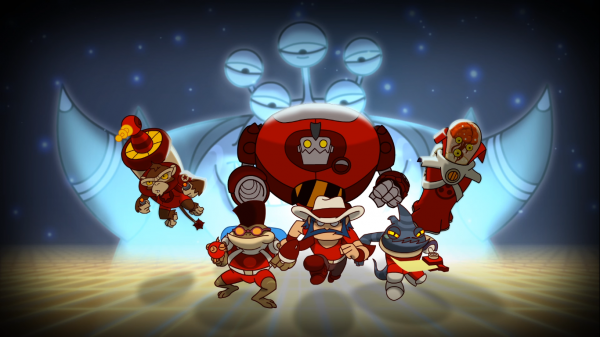 Q: Awesomenauts features MOBA style gameplay on a 2D plane, and amongst a myriad of things featured in MOBA style games,Awesomenauts employs a shop feature. How does it work? A: The shop in Awesomenauts is a simple 3×4 grid containing items specific to the class you’re playing. Each row of items represents a category of upgrades for a specific part of your character. The categories are as follows: special skill 1, special skill 2, shots and passives. The special skills need to be bought first, before they can be upgraded. Apart from the shop you can access during the match, there’s also a loadout system outside the game. There you can customize which 12 items will be available to you during matches. These loadouts are custom per class. 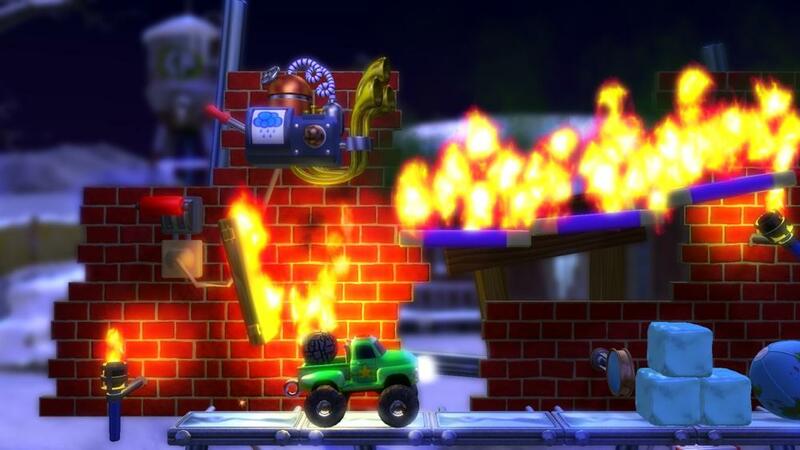 Crazy Machines Elements was developed by Fakt Software and published by DTP Entertainment. It was released August 24, 2011 and retails for 800 MSP. There are a handful of genres that are largely untapped on Xbox Live Arcade: MMOs, real-time strategy games, even some sports sub-genres such skateboarding. But one that’s never been touched is that of a Rube Goldberg-esque puzzler. Crazy Machines Elements is an attempt to dive in and take the monopoly. Players must complete partially finished machines in order to complete a given objective. Now something like this could easily sink or swim based on the quality, but this is from Fakt Software, a team that is no stranger to machine games, having made them since 2005. The amphibious B.I.G., also known as Nate Frogg or Froggy G, comes straight out of the marsh pond ghetto’s of planet Ribit IV. Growing up in the baddest part of town, struggle and incarceration surrounded Froggy from an early age. Taking part in his first swim-by shoot out as a tadpole, Froggy seemed destined for a life of crime and prison. After a bloody gang war with the neighboring Toad-unit posse ended in a 5 year jail sentence, Froggy G vowed to end his gangsta ways. Instead, Froggy G started earning his keep as a beatboxing streetdancer and rapper, hoping to be picked up by a major record label. Unfortunately, his tracks, titled “Pond Pimpin'”, “Froggin’ Dirty” and “Motherfrogger Bounce!” didn’t earn him much. In order to make some money, and then make some mo’, Froggy G became a hired gun. 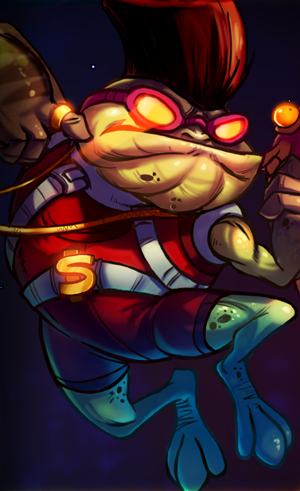 Combining his shoot-out experiences with lethal watery dance-moves and beatboxing techniques, Froggy G now spins and dashes across intergalactic battlefields. 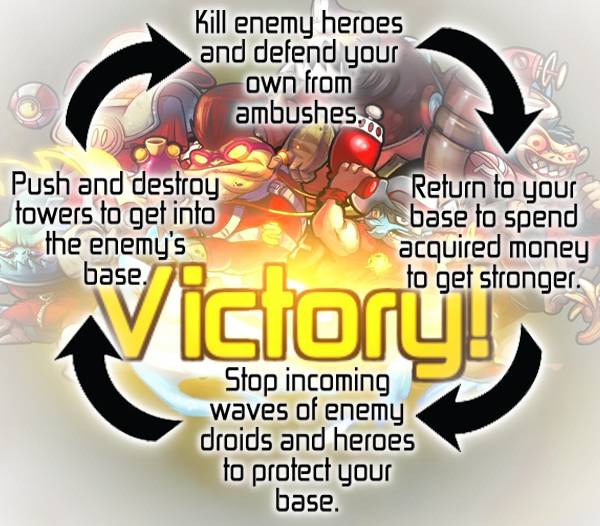 Each character in Awesomenauts has four moves that make them unique, as well as various upgrades allowing players to customize their playstyle. Froggy G’s moveset suggests he might be a “Carry”, or a character whose abilities make him valuable at the end of the game. His basics consist of a fish that shoots water bullets and a jump-pack he can charge, allowing for varying jump heights to get out of or into battles. 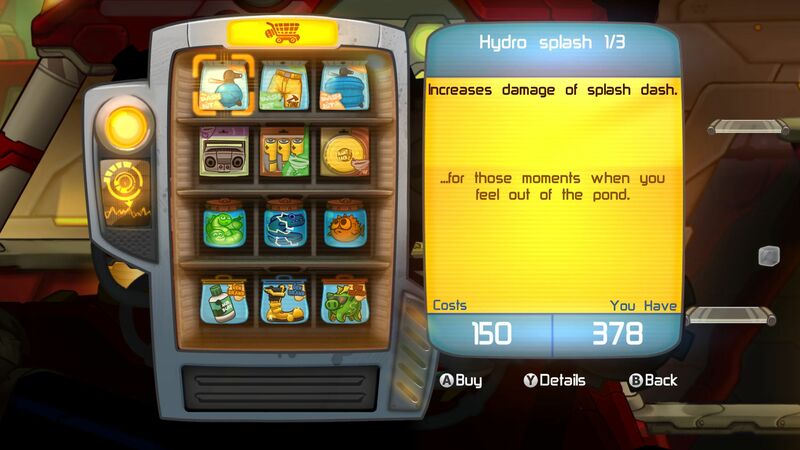 Froggy G is also equipped with a Whirlwind (you’d think it’d be a whirlpool) ability which when activated damages all enemies around him for as long as the ability lasts, and a Dash ability which is omni-directional, damaging and stunning enemies caught in its watery wake. Some upgrades included in the reveal suggest both statistical and functional improvements, for instance the Hammer Pants give the Dash a “ground pound” feature when aimed into the ground, whereas the Mutant Worm Cartridges simply increase the firing rate on Froggy G’s fish-gun.